This article was written in partnership with RevolutionEHR, a proud supporter of NewGradOptometry & new graduate optometrists! If you own or work in an optometry practice, chances are you either already utilize an electronic health record (EHR), or are considering choosing one to integrate within it. Government compliance, patient accessibility, protection of health information, efficiency; these are all reasons why practices are going paperless. It will likely only be a matter of time until it is not only necessary but mandatory. RevolutionEHR is designed to work for single location practices, corporate offices, as well as group practices with multiple locations. I work in a practice that has 5 locations and 9 doctors, and this system has integrated all of our offices seamlessly. Over the last 5 years, I have used four different EHRs, and I am happy to say that our current EHR is here to stay. 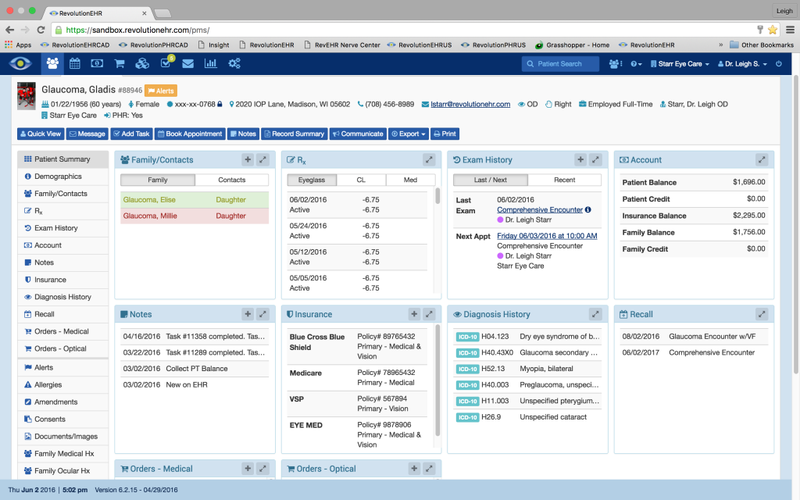 RevolutionEHR has allowed our practice to focus on patient care, and less on paperwork and navigating multiple programs or IT struggles related to server based systems. Here are my top reasons why you should consider RevolutionEHR for your practice. The first thing you need to know about RevolutionEHR is that it is one platform. One of the major frustrations I discovered with other EHRs was that every aspect of a practice was controlled by a different program. The software for examination and data collection was separate and different from the scheduling system, which was different from the program used to manage the optical and ordering. I found myself wasting valuable time toggling between different programs and windows on the desktop when trying to understand all of the pertinent information about my patients who were sitting in my exam room. One of the major strengths of RevolutionEHR is that everything falls under a single, easy to use umbrella. There is no toggling back and forth between programs, and why should there be? Scheduling, examination, and merchandising is all part of every patient encounter and having access to that data makes patient management easier and far more efficient. I can see every aspect of a patient’s experience in my practice, from the day they called to schedule, to their most recent exam, to products they ordered from the optical, in a single snapshot. 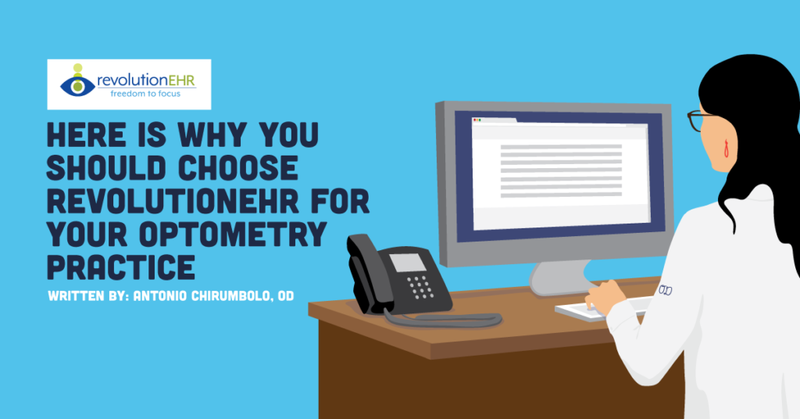 RevolutionEHR performs extraordinarily well as an electronic health record for an optometric practice, which should come as no surprise since the system was created by optometrists! RevolutionEHR makes documenting patient encounters fast and extremely natural, which is critical when you have a busy schedule. The software is ONC certified which allows you to participate in Medicare incentive programs. As we all know, practices operate differently, which is also true when it comes to the way doctors practice. Every doctor has specific information they want and or need, offers different types of specialty care, and performs additional elements beyond the standard exam. Fortunately, RevolutionEHR is customizable, allowing practices to organize exam templates, encounters, scheduling, and care plan libraries to achieve maximum efficiency and meet your needs as a clinician. Exam data is readily available across all historical patient encounters, and previous data can be easily incorporated into the current encounter. You have access to and can manage a patient’s diagnoses, reports, communication with other healthcare professionals, documentation, and special testing and imaging results all within the same organizational structure. Auto-coding is fantastic because based on the results of refraction, RevolutionEHR automatically codes refractive diagnoses for you. I’d say a majority of us in practice are seeing a lot of myopia, hyperopia, and astigmatism on a daily basis. While auto-coding might save you 3 seconds per encounter, if you see 20 patients a day, 5 days a week, you have already saved yourself 5 minutes! Over the course of a month that’s 20 minutes! Over the course of a year, you’re looking at 4 hours saved. Another helpful feature is that everything is searchable. 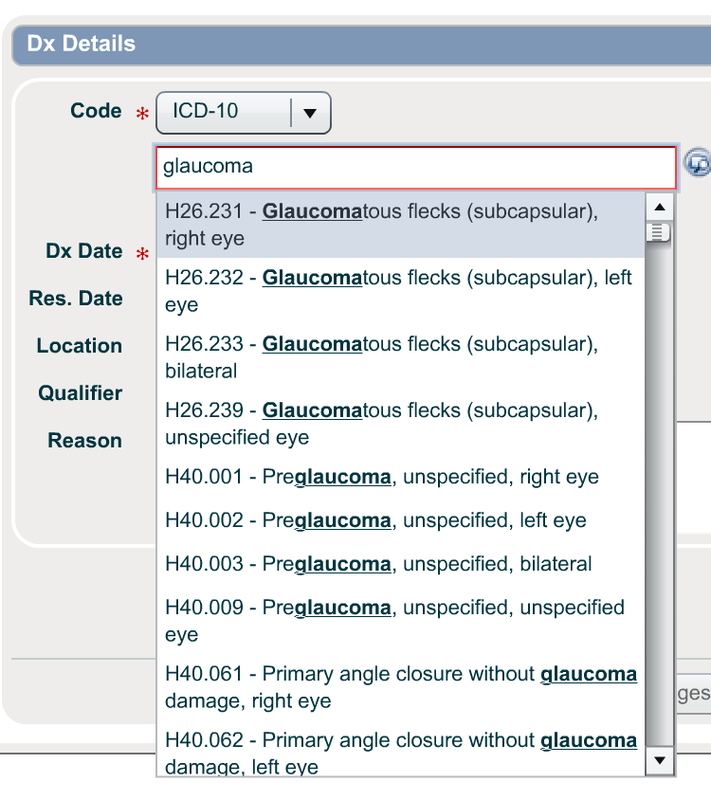 Uncertain what the correct ICD10 code is (which seem like they change every year! ), or CPT code? No problem. Just search for it! You do not need to worry about learning new codes because RevolutionEHR has you covered! RevolutionEHR also assists in understanding proper medical billing and coding. 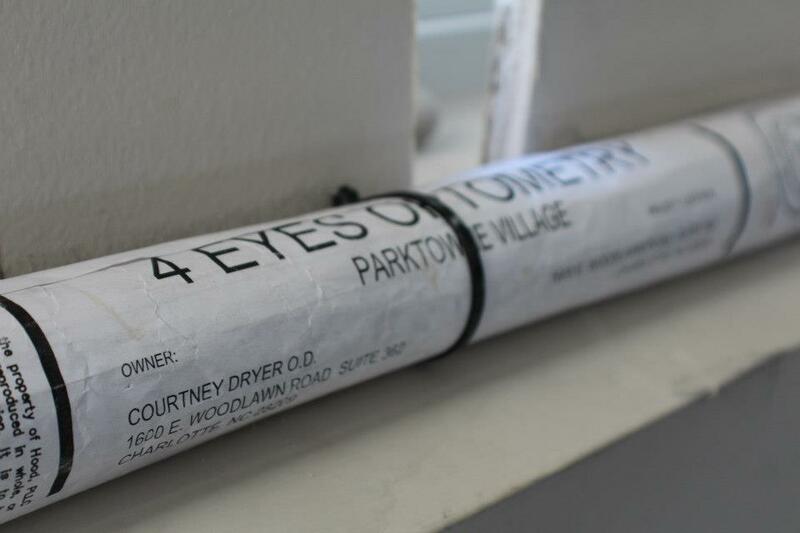 The system reviews the documentation captured within an encounter and suggests a 99 level code based on current E&M guidelines. No matter how long you have been in practice, I think we can all agree that there is always some confusion and apprehension when it comes to what to bill when it comes to medical exams. This feature greatly reduces the guesswork involved in deciding what level encounter to bill for which not only gives you a peace of mind, but also ensures you won’t fall victim to an audit. 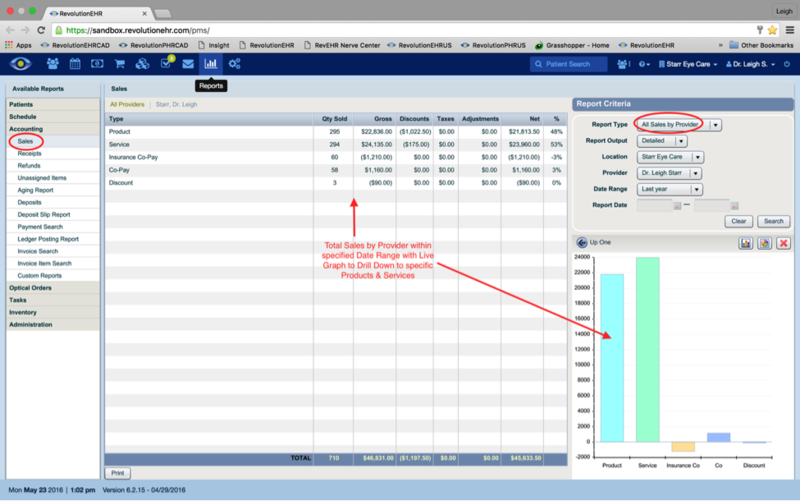 I can’t tell you how easy RevolutionEHR makes billing and coding and how much time I’ve been able to save by utilizing this interface. You need to experience it for yourself! Generating customizable patient lists based upon a specific diagnosis, date of encounter, type of encounter, etc. You can get a great handle on the financial health of your practice using the tools within RevolutionEHR. I routinely generate patient lists based on various diagnoses to help me understand the volume of patients I see with particular pathologies. This enables me to understand my patient demographic better and decide if there are additional services I should be providing or adding to the practice. It also helps me determine where I need to prioritize my marketing efforts for growth. Keeping track of revenue is extremely easy, even with multiple doctors and multiple locations. You can run financial reports sorted by doctor or location to visualize better how each office stacks up across specific time frames. This can help you quickly determine which location is experiencing the most or least growth. 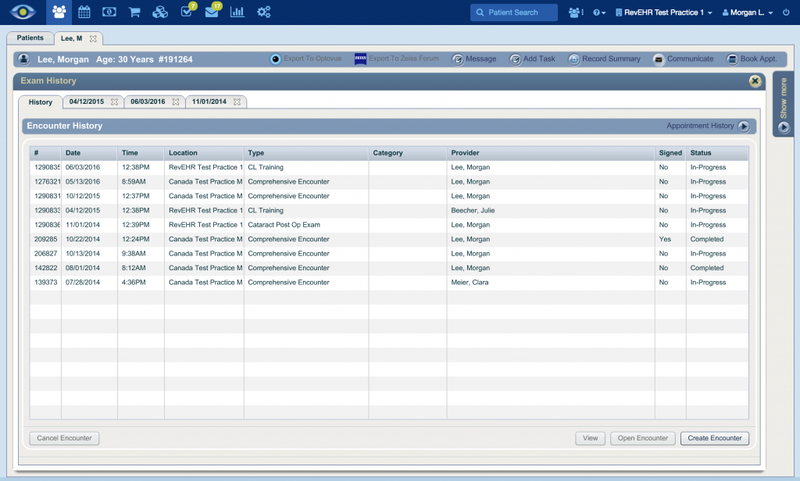 Also included within RevolutionEHR is Pulse. Pulse is a practice performance dashboard that helps you manage your business. Pulse provides an instant, robust view of your practice data to track overall business performance. You can break this down by key performance indicators such as production, optical, contact lens, services, schedule, accounts receivable, and demographics. Whether you have one practice, or several practices, having the ability to analyze and explore trends over time across doctors, staff, and location are absolutely critical in understanding, anticipating, and implementing changes in your practice! These are just few of the many practice management solutions inherent within RevolutionEHR. One thing you must know is that RevolutionEHR is delivered by Rev360. Rev360 is fiercely committed to customers and the mission to deliver profitability and joy to practice owners who choose RevolutionEHR software to run their practice. All of these services are delivered exclusively to RevolutionEHR users. RevolutionEHR is also a powerful personal health record. As modern medicine continues to keep patients increasingly informed about the care they receive by enabling access to their health records and a means of communication with their healthcare providers, it is important that a system can offer patients this functionality. This feature has improved patient engagement and has helped me build rapport within my practice. I routinely have patients who send me messages with questions about their ocular conditions or medications, and sometimes even just want to send over a compliment on their most recent encounter! Many of us utilize other practice management tools, software, diagnostic and imaging equipment, or other automated technology within our practices. Our office specifically uses RxNT for e-prescribing, SolutionReach for patient communication, and Vision Web for sending and tracking spectacle lens orders. RevolutionEHR integrates seamlessly with these industry partners so I can utilize these resources still all within a single platform and share information easily between them. While we currently do not utilize equipment integration, RevolutionEHR also integrates with equipment from top ophthalmic companies as well. You can easily import data and images from refractive and diagnostic devices with a simple click of a button. RevolutionEHR’s Integrator software communicates directly with a selected device, acquires data, and sends it into RevolutionEHR to automatically populate a patient encounter. The process of setting up integrations is simplistic and easy and involves no extra costs. It only takes a few clicks to set up. Here is a list of industry partners that integrate with RevolutionEHR. While we receive great clinical education, one area where most optometrists are lacking knowledge is the optical. revenue. RevolutionEHR is not only well equipped to handle the demands of a busy practice, but also a busy optical, and is designed to help you and your staff not just manage it, but manage it well. Managing your frame inventory can be a major challenge when you’re talking about hundreds or even thousands of frames. RevolutionEHR integrates and pulls inventory data from FramesData.com which auto populates sizes and colors for every single frame you carry. This means you always know every possible size, shape, and color available for every frame in your inventory, without having to enter the information yourself, which is a huge time saver. You can also search your inventory by using custom filters to make finding specific colors, styles, or options for patients easy and painless. Within their inventory management system, you can track your best and worst sellers, identify how long each frame has been in inventory, and can run a report that notifies you when it is time to order your best sellers by setting a target minimum and maximum frame count. Being able to capture this data quickly arms you with the information you need to make informed decisions on purchasing and frame exchanges, not to mention understanding what your patients really want from your optical. Read all about how to use RevolutionEHR to boost your optical in this article. 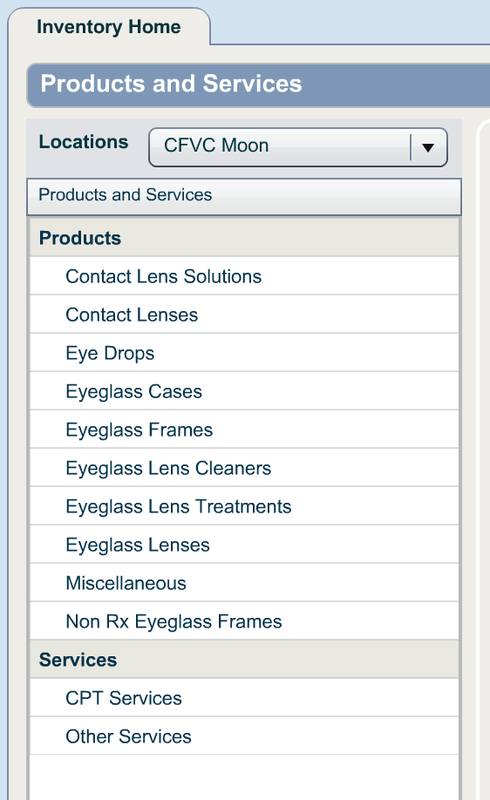 A great feature with RevolutionEHR is that you can view your practice’s inventory and see all pending and completed optical orders just by toggling between a few screens. RevolutionEHR has made managing inventory easy with their integrated barcode and scanner. When a new frame is entered into your inventory it gets a unique barcode. When you enter a patient’s order, you can simply scan the barcode on the frame and all frame data auto-populates into the patient’s order form and removes the frame from stock so that your inventory is automatically updated to reflect the sale. The last thing you and your patients want is their order being delayed due to an entry error by either you or your staff. RevolutionEHR is designed to prevent these simple yet common errors with an automated alert system. If you forget to enter essential data that would result in delaying the order, RevolutionEHR will automatically alert you to remedy the error. Furthermore, you can set “due dates” for optical orders, so you and your patients know when to expect their optical goods. 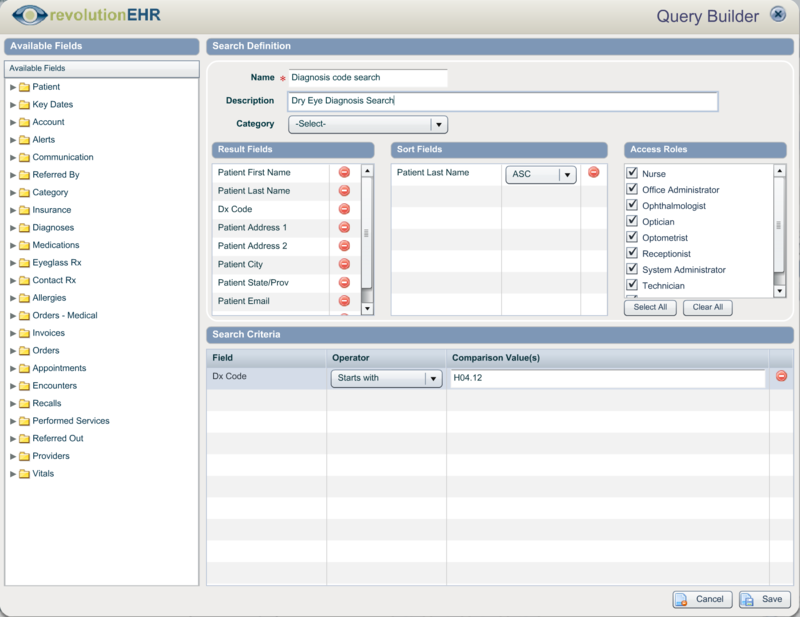 RevolutionEHR takes things a step further by allowing you to run a report highlighting orders that are overdue so you can proactively find a solution to the issues causing the delay and notify your patients ahead of time. These are simple, yet extremely beneficial tools that can help you and your staff manage your optical far more effectively. Pricing is clear cut and simple with RevolutionEHR. There are no surprises or hidden fees. There is a one-time setup fee, a database conversion fee, and a monthly subscription fee that is determined by the number of doctors in the practice. For practices with multiple locations, there are no extra costs, software, or technology required to add and integrate those locations to your account. The subscription fee is based upon doctors, not locations, so there is no additional charge as you continue to grow and expand with your current group. Since RevolutionEHR is cloud-based, you can login to the system from any location and instantly access all of the information across any of your practices. After using several EHRs within the last five years, the accessibility, affordability, and functionality of RevolutionEHR within our multi-location practice has been nothing short of incredible.